On May 16, 2018, Huntington Ingalls Industries’ (HII) Newport News Shipbuilding division today authenticated the keel of the 21st Virginia-class submarine, USS Montana (SSN-794). «This is an important day for us», said Dave Bolcar, Newport News’ vice president of submarine construction. 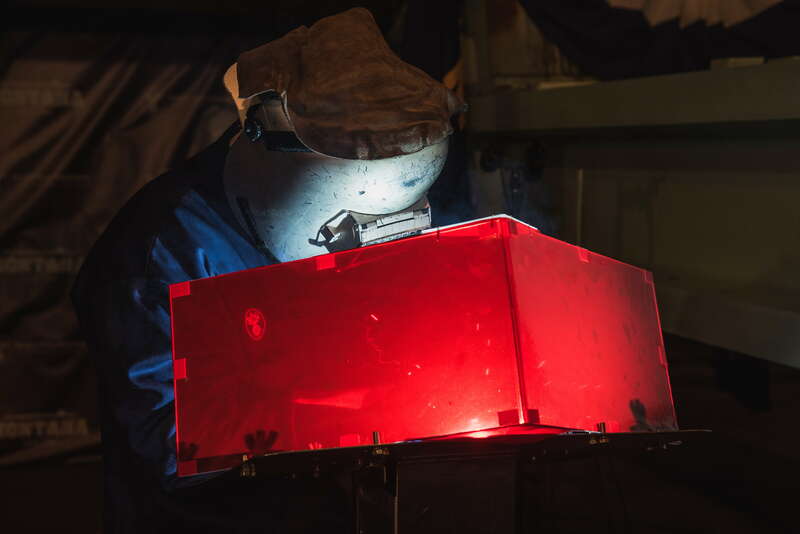 «Not only are we celebrating a milestone in the construction of Montana, we also are recognizing the hard work of the 4,000 shipbuilders who are supporting the construction of newest Virginia-class attack submarine». «It’s a true honor to meet the commander, crew and shipbuilders who are hard at work shaping this amazing submarine to serve our nation», Jewell said. «We celebrate the tradition of the keel laying and look forward to blessing her, christening her and ensuring that the natural beauty, rich culture and spirit of the great state of Montana accompany the ship and crew throughout her lifetime». Jacob McNulty, a welder at Newport News who was born in Montana, traced Jewell’s inscription on the plate, which signified that the keel of Montana is «truly and fairly laid». The steel plate will be permanently affixed to the submarine. 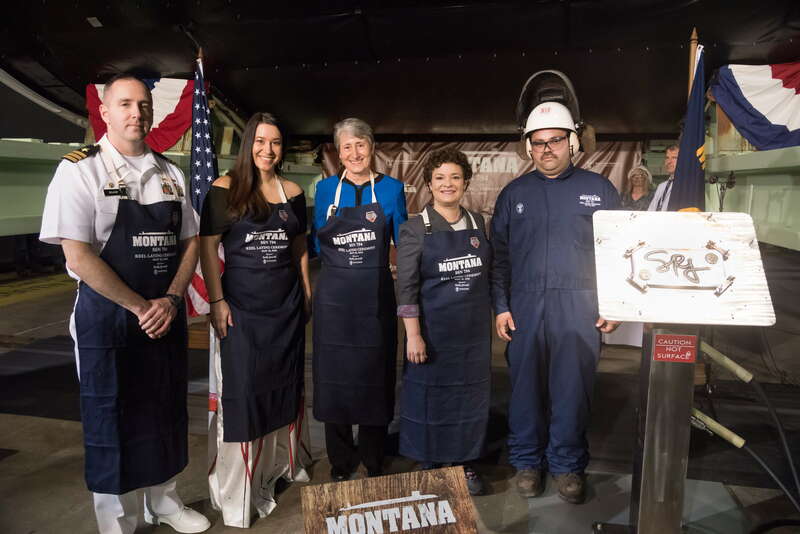 «The keel laying marks the first milestone for the crew in the construction process of Montana», said Commander Mike Delaney, commanding officer of the pre-commissioning unit. «We are excited to begin this journey and bring the Montana to life over the next few years».